Family owned and operated since 1982, B.E.S.T. Inc. is one of the East Coast’s most knowledgeable and professional applicators of polyurethane foam. Our office, warehouse and conditioned storage facility is located on Maryland’s Eastern Shore. This location allows us to service Pennsylvania, New Jersey, Maryland and Delaware. We are Maryland’s only licensed applicator under U.S. patents 4,947,603 and 5,119,611. We have a long standing certification with two major manufacturers, Andek Corporation and NCFI Polyurethanes. Our company is fully insured with workmen’s compensation and liability. B.E.S.T. Inc. specializes in retrofitting all types of commercial roofs. 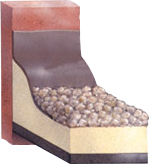 Our spray-in-place closed cell foam system has multiple benefits. There is no tear off involved, therefor no debris entering landfills. There are no intrusive screws because of foam’s ability to be applied directly to the cleaned roof surface, leaving the new roof seamless and monolithic. There is an added insulation value of an average R-14. We offer emergency waterproofing within 24 hours. We are successful in solving water penetration problems in every type of roof as well as outer walls. Our waterproofing services include windows, exterior walls, parapets, HVAC, and drains. B.E.S.T. Inc. installs closed cell polyurethane foam insulation to crawl spaces, attics, additions, and new construction. We know how to achieve the most effective application for every space or structure, preventing air leakage and energy loss. If you are interested in additional information on spray foam insulation please visit the website of our insulation division, www.lancasterfoam.com.